DESCRIPTION Stunning custom built executive two-storey home situated across from Canmore Park in a great location for those who enjoy walking, running, tennis, golf & a fantastic green space close to the U of C, Foothills Hospital, Market Mall & more. Chef's kitchen complete with custom cabinetry, granite countertops, huge island, full viking s/s appliance package including 50 bottle wine fridge in large butler's pantry. Gorgeous great room with stone FP & custom b/is, tons of windows & light, garden oasis & covered porches. Great entertaining size DR, large den & dedicated mudroom off attached large two car garage, with plenty of b/is & full bath complete main floor. 3 large bedrooms up, 5pc bath, huge master suite with balcony overlooking park, spa style 6 pc ensuite, large walk-in with b/i organizers & upper floor laundry. Fully finished basement with wet bar, huge rec/games room & full bath bedroom all with epoxy finished heated concrete floors. The quality is unsurpassed & must be seen to be fully appreciated. 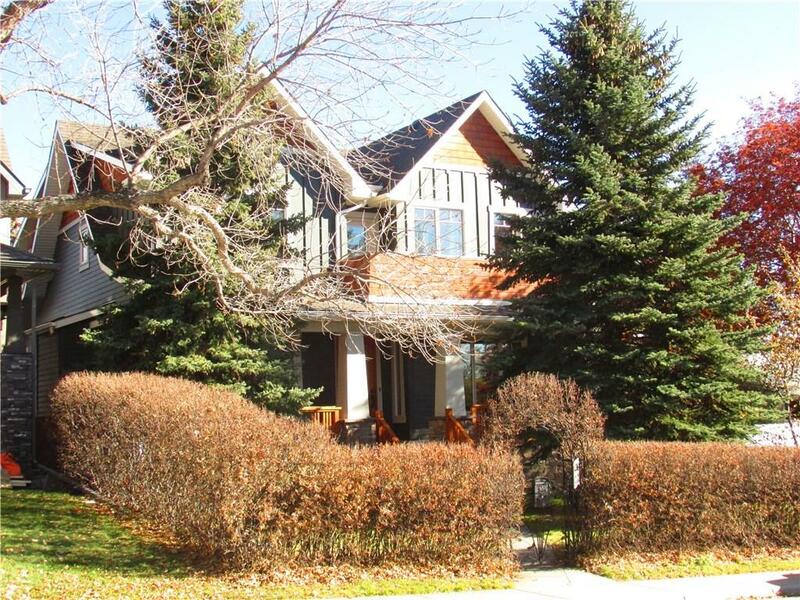 Super location, close to downtown, tennis courts and spray park.